Tag Archive | "gigabyte ultrabook"
Computex 2013 has seen a few announcements already for new Haswell Ultrabooks and Gigabyte is also getting in on the action with a range of Ultrabooks with the new chip and discrete graphics as well. Thanks to our friends at Dynamism, we’ve got the Gigabyte U2142 Ultrabook Convertible to take a look at. A full review is in the works, but for now we’ve popped open the box for some photos and give our initial impressions after some hands-on time. 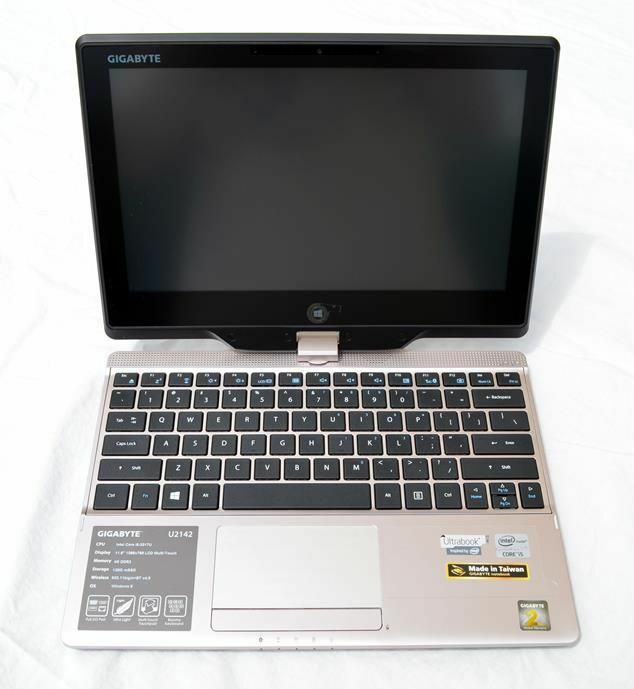 At CES 2013 last week, Gigabyte re-announced the U2142 ‘Masterclass’ Ultrabook, a swiveling touchscreen unit based on Ivy Bridge which we heard about back in October. 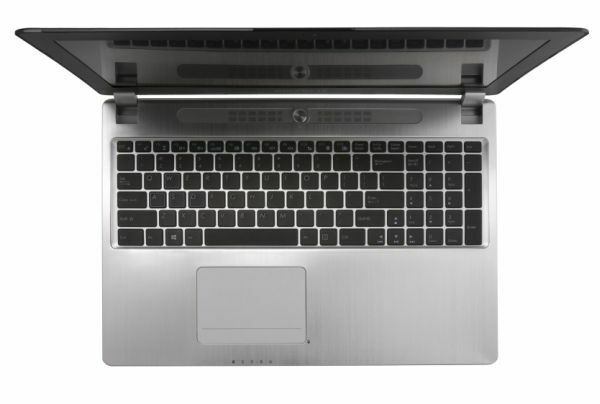 The company is upgrading the powerful U2442 gaming Ultrabook with a new Nvidia GPU and touchscreen. 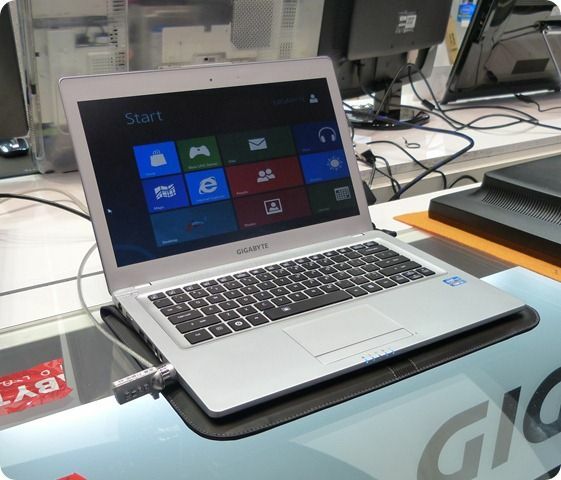 We stumbled across a new Ultrabook on Day 0 (set-up day) of CeBIT in Germany. This is the Gigabyte U2442 U/V Ultra Pro Book from gigabyte that’s launching at CeBIT this week. Based on the fact that it was taken off the booth after we took the pics and video, below, it looks like it’s not happening today! There are some very interesting specs to consider here.